I'm not so sure how the weekend has already come and gone and am not fully ready for this Monday morning just yet. This kicks off our first full week of classes for grad school and I already have assignments due and a quiz today. Even with that though this session has already been so much better and I am enjoying my classes. If you kept up with Step Into My Week posts last month then you may remember that I was not loving those classes. I have two different professors this session and the work seems much more meaningful which I appreciate. I'm in a class with one of my favorite professors and have already learned so much from the statistics class I am in that I am optimistic that this session will be better than the last. I'm getting a little ahead of myself though since my last Step Into my Week post ended on last Wednesday and it would make more sense to to start where I left off. I came back to town on Tuesday to some exciting packages that I thought it would be fun to share sneaks of with y'all. For starters, my headboard and new nightstand came in which has one side of my room looking pretty put together. I need to hang some art and there will be a few changes to my desk area but I am definitely feeling more settled with these additions! I will definitely be sharing more of my room with y'all soon and am so excited to do that but there is a lot of stuff on the other side of my room that needs to be figured out before that happens. Another exciting package came from one of my blogging friends, Amy, who just opened her own boutique. All of the items she is offering are so cute and affordable and I am so excited for her with this new endeavor! She sent me this adorable cup and a bracelet with my favorite colored tassels and I can't wait to use and wear both of these sweet prizes! The first few days of class went well as I mentioned but the best part of this week was this weekend. I finally did fun things with friends this weekend sincere weren't all overly stressed about the number of assignments to complete. I'll pause for a second while you slow clap for my socialization! 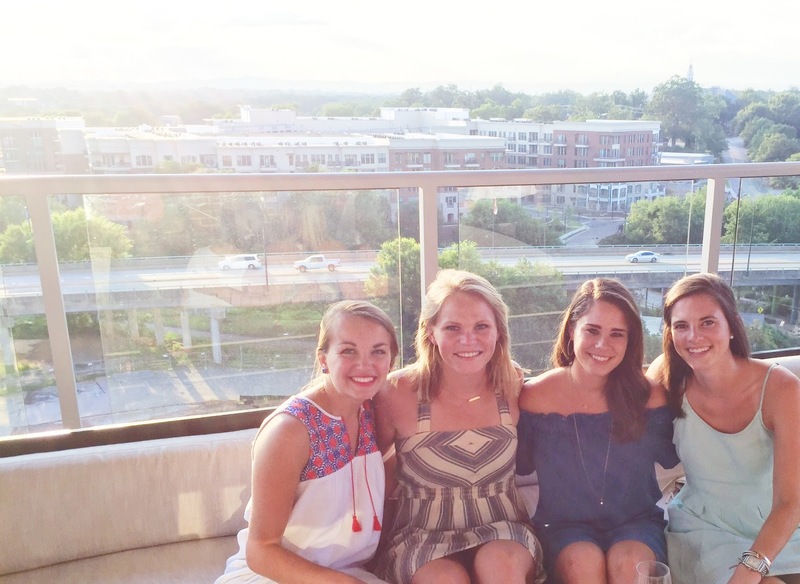 I had so much fun and am excited to see more of what Greenville has to offer post grad! 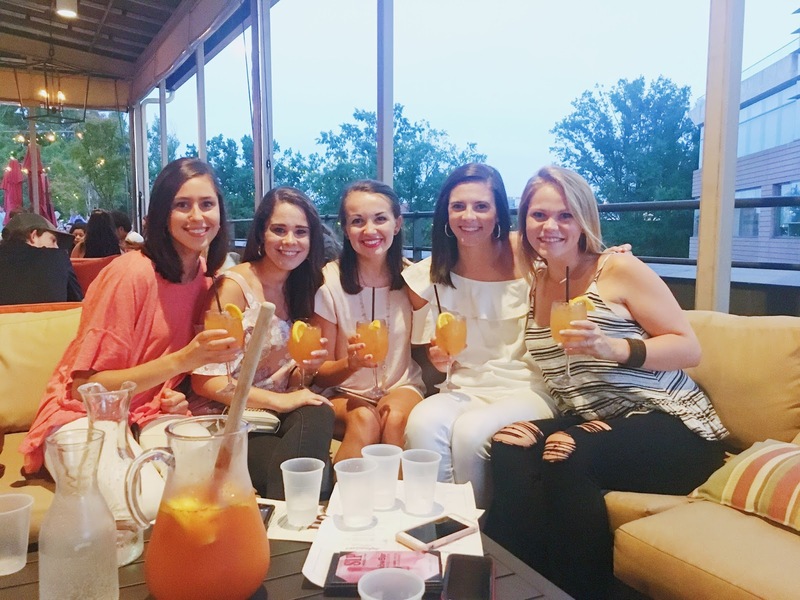 On Friday night a group of us went to a rooftop wine bar in downtown Greenville called Sip to relax and catch up. It is such a cool venue and we all split a pitcher of their strawberry mango sangria which was delicious. We ended up staying for a number of hours enjoying each others company and the live music they had playing! Saturday morning was spent at the farmers market downtown and then by the pool. A group of us staked our claim of lounge chairs by the pool before it got too busy and by the time we left around 2:30 there were no chairs left so we were lucky to have grabbed the chairs while we could. We sat around and talked and read some before heading in due to a storm coming. I took a solid nap that afternoon and got a little bit of homework accomplished before having pizza and watching a movie with one of my friends. 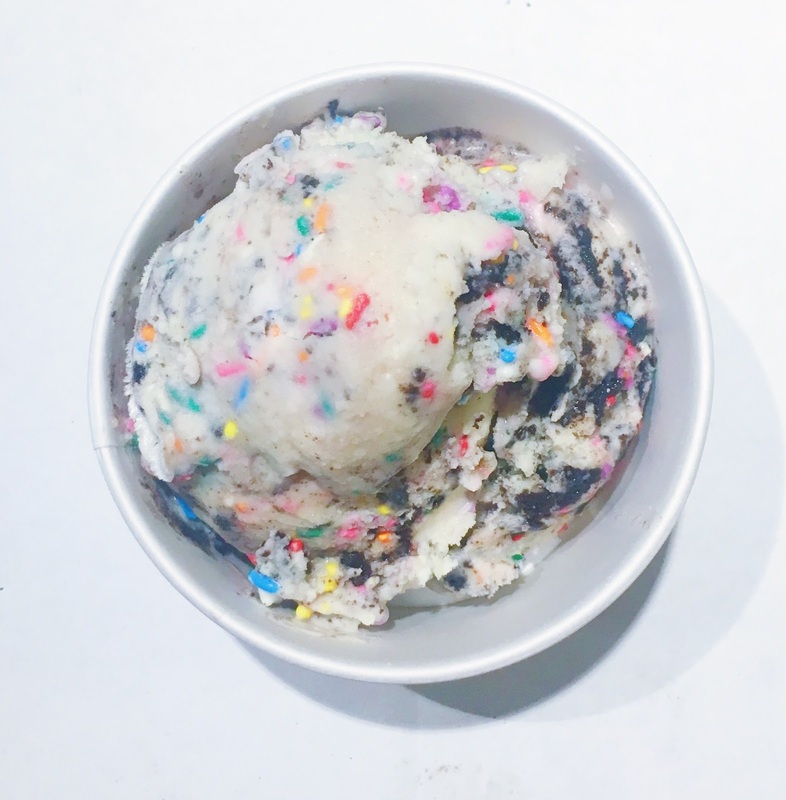 Sidewall is our favorite pizza place in Greenville and they make their own ice cream flavors with a special creation each day and they just so happened to have the most delicious cake batter cookies & cream ice cream when we went. I'm lucky I took a picture before the first bite since otherwise I doubt I would have put my spoon down long enough. Sunday morning I went to the grocery store to stock up on food for the next couple of weeks and then spent the rest of the morning and a decent bit of my afternoon working on homework and studying. Sunday night some of us had plans to go to a full moon party at another cool rooftop restaurant and bar in Greenville called Up on the Roof. The views are incredible and although we left before even seeing the moon the sunset was pretty great! It's a rarity that you'll find teachers celebrating a full moon so we made the most of it which was a great end to such a fun weekend. While at the grocery store and running errands yesterday I happened to head into Walmart's office supply section to get some envelopes and got a little anxious seeing so many school supplies out already. As a first year teacher there are a lot of essentials that I'll need to provide for my students as well as finding a variety of books for our classroom library and setting up my room to be functional. As I worried about this while staring at the envelopes I thought it would be good to see if there was a way to make this more financially feasible. I had seen other teachers successfully use Go Fund Me and despite HATING asking for help I decided to make one for my classroom as well. If you'd like to hear more about what I am hoping to provide my students with or are interested in donating I am leaving the link for it here: Miss Walton's First Classroom. Additionally if you have any advice or resources I should know about as a new teacher I am all ears as I am starting to get a little overwhelmed thinking about all the moving parts that will go into making this a successful year for my fourth graders. On a completely unrelated note (and to make up for the fact that this Step Into My Week only covers a portion of the week since my previous one went up late), happy Amazon Prime Day (well technically it starts at 9 PM ET tonight but I figured an early celebration couldn't hurt)! If you're like me then maybe you feel like everyday is suddenly a new holiday (national pineapple day // national bikini day) and it's kind of hard to keep up with all of them. Amazon Prime Day is definitely one to keep up with though since it's a one stop shop for so many things that you may use on a daily basis. 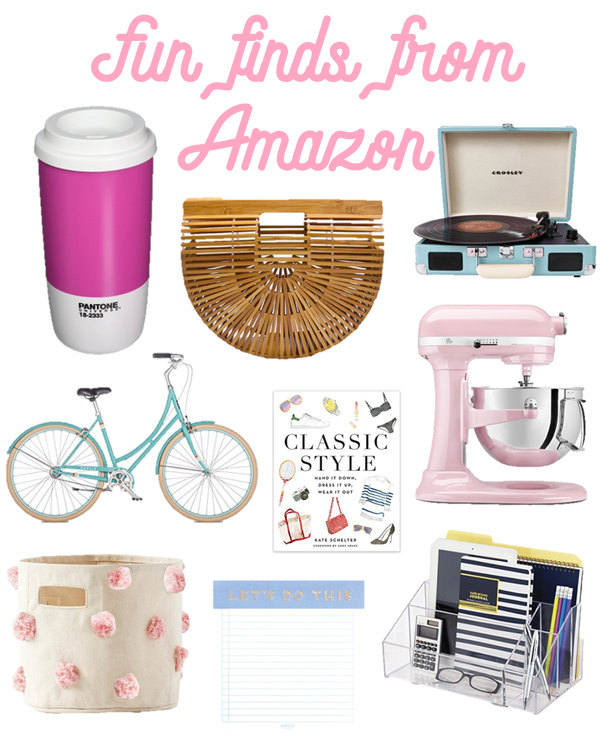 In celebration of that I thought I would share some of my favorite things to purchase on Amazon (and thanks to Prime can use almost instantly after ordering). Also, a little fun fact for you, my dad admitted to me that if an item on our Christmas lists wasn't from Amazon last year then that's why we probably didn't get it since Amazon just made it so much easier to purchase everything in one place. One last thing! You may remember this earring stand from a recent instagram and I think it has to be my favorite recent amazon buy! 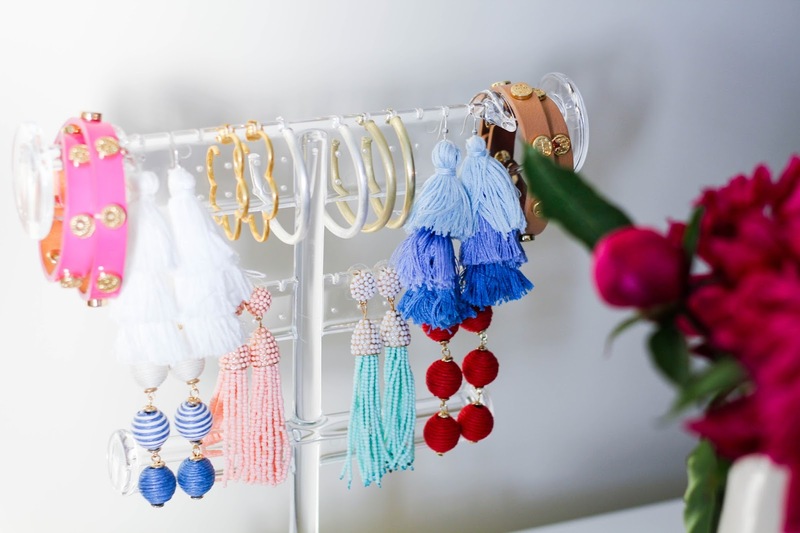 It is under $13 and looks so cute as a practical way to store jewelry and is really decorative! And the best part is that with prime shipping it'll be at your door on Wednesday! I hope that your week starts on the right foot and want to encourage you to check back here tomorrow for a post I am SO excited about sharing with y'all. Here's a hint: it is light hearted and fun and will provide y'all with a little perspective. Any guesses? Your room looks really, really good. It's like, interior goals! I've been looking for an earring holder and the one you shared looks perfect! 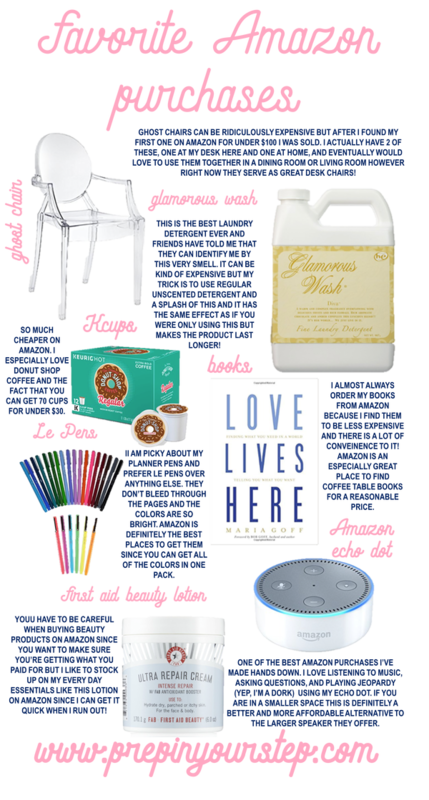 What a fun week and love your picks for Prime Day! So many fun things I want to buy~~ Thank you for sharing! Your room is gorgeous! Also, I love the Amazon picks and favorite purchases! I love your content and I completely agree with your ideas for the Amazon sale (I am so excited!). However, I have several friends who are authors and I have to share that by buying their books for cheap on Amazon, they make less money off the sale than when you buy from a bookstore. Buying full price from local bookstores help both the authors and the bookstores to make sure they can be around for years to come. That's so good to know! Sometimes I get so wrapped up in the convenience of it that I don't think about that! Thank you for sharing that! 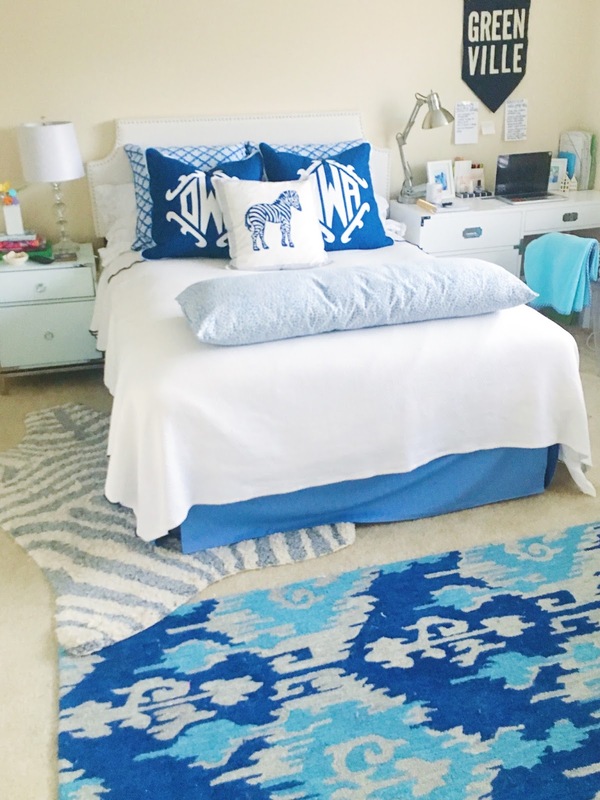 Any chance you can share where you got those navy monogrammed pillows? They're stunning! I hope this session is easier on you!